In this study a probabilistic approach has been applied to the description of the source rock model (7 Jurassic, Triassic and Permian source rock units, in left figure), to the thermal history modelling, to the hydrocarbon generation modelling and to the migration modelling. The simulations are based on a 21 layer basin model constructed in the project. A database of 153 wells has been used for constructing the source rock model and in calibrating the maturity model. The hydrocarbon migration models are calibrated to existing discoveries in the area, and a “base case” model results. Sensitivities to key uncertainties are investigated using Monte Carlo simulation approaches and alternative migration and filling scenarios are shown. Results are available as digital maps and results from this project will be useful in assessing where to explore for prospective areas and in helping to understand the hydrocarbon charge systems of the study area. The results can also be used as input to detailed modelling in a licensed area or future prospect evaluation in combination with your own data. Migris is the operator of this project and PGS has provided the seismic interpretations. 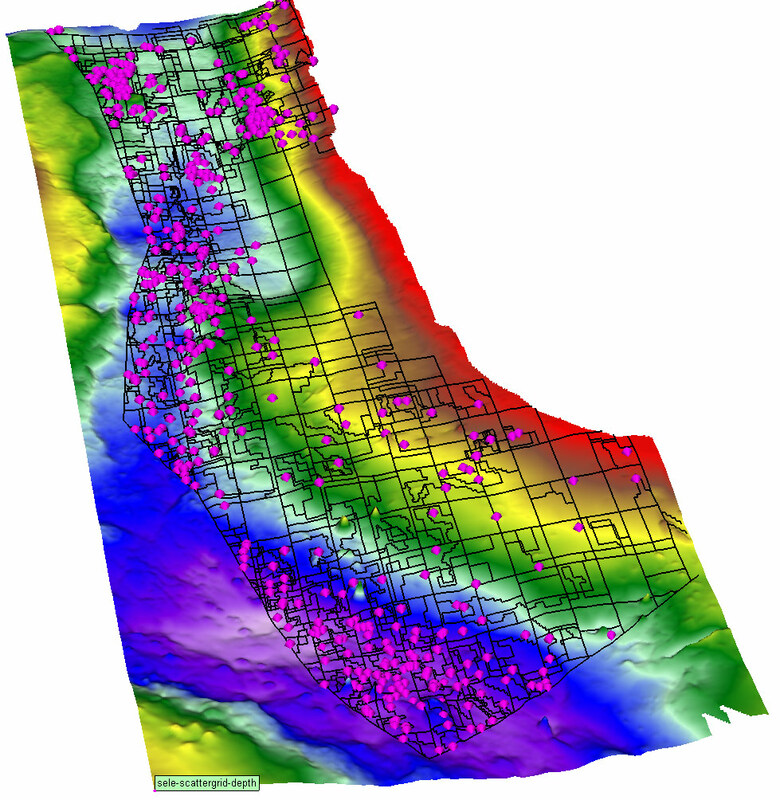 Top Paleocene depth map with well locations shown. 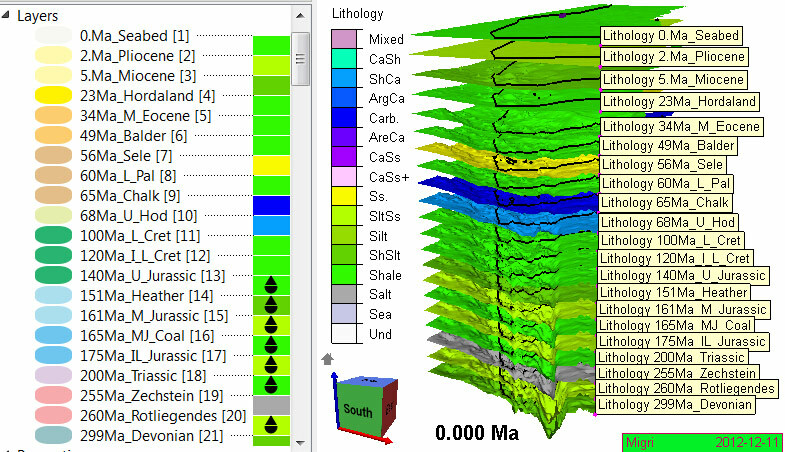 Stratigraphic model with main lithologies mapped onto layers.